Tahmina is a passionate advocate for immigration reform but specificaly for high-skilled immigration and even more specifically for a new visa catergory for entrepreneurs and startup founders also known as the Startup Visa. She felt compelled to write a book about why it is necessary for the U.S. to create such a visa category. 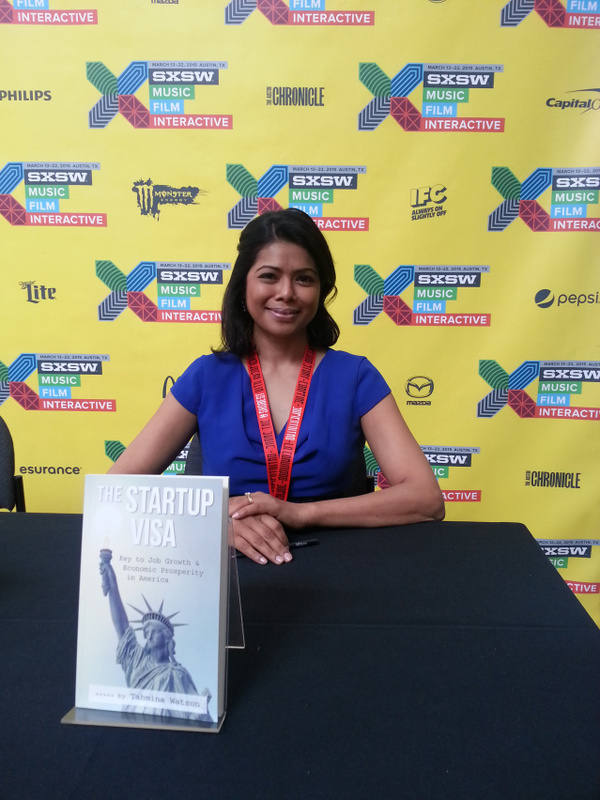 The book is titled The Startup Visa: Key to Job Growth & Economic Prosperity published in 2015. Tahmina speaks on this topic frequently. You are welcome to contact us for for speaking engagements. Contact us here.